Life Candy: Motrin, Are You Effing Kidding Me?!? Motrin, Are You Effing Kidding Me?!? So, this morning, Roomie and I were sitting on the couch, laptops open, both of us catching up with our respective online worlds. While Roomie perused the recent news on Reddit, I scanned Twitter and found my Twitter Sibs frantically waving their hands in the air, freaking, and in a general uproar about Motrin's brand-spankin' new ad -- an ad that appears to mock the idea of baby-wearing, a topic very close to my heart. Hearing the growing freak-out in my voice, Roomie talked me off the ledge, "OK, hold on, have a look at the ad first." So, I hit the link from Katja's post, and together, Roomie and I watched my laptop with growing horror as the commercial unfolded. 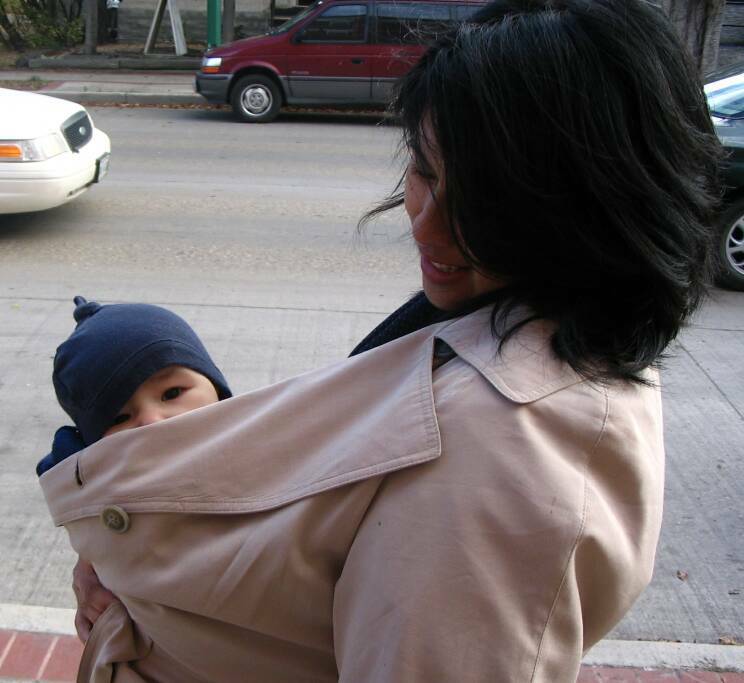 We watched them claim that baby-wearing seems "to be in fashion" and that it's "a good idea in theory", as if it's some sort of new fad, as if baby-wearing hasn't been around for thousands of years, as if many cultures worldwide have never continued to wear their young because baby wearing is such a PROVEN good idea. Motrin shouldn't have made this commercial. Baby-wearing and the need for pain medication just don't go hand in hand. And now, legions of future moms could be turned off to baby-wearing if they're misled by idiotic, poorly-researched pap like this. So, yeah, watch the commercial yourself (Thanks to dizastor! ), and check out Katja's post for the video of other mom reactions too. Maybe you too will think, like Roomie and myself, that the Motrin people are morons for coming up with such an offensive, condescending ad. The uproar is huge. I wonder if heads are going to roll. There is now an apology on their site. OK, have you seen the spoof? The response Motrin put up in place of the ad totally doesn't go far enough to appease. They just say "yeah, we hear you; you didn't like it, so we took it down". No real apology for the insulting ad.